This Update discusses the state of the Iranian economy in the lead up to the re-imposition of US sanctions beginning on Aug 6, following the US withdrawal from the 2015 JCPOA nuclear deal in March. We lead with American columnist Rich Lowry discussing the recent belligerent twitter exchange between Iranian President Hassan Rouhani and US President Donald Trump. Lowry argues that what the Iranians should fear is not the American president’s threatening rhetoric but the leverage that the US Administration had over Iran due to the regime’s current economic crisis and general weakness. He argues that the US is in a position to wage financial warfare against the regime, backed by allies, and Teheran is in a poor position to withstand such pressure. For Lowry’s full argument, in which he also contrast Iran’s situation with that of North Korea, CLICK HERE. Next up is a Wall Street Journal report, written by Sune Engel Rasmussen and Aresu Eqbali, offering more details about the state of the troubled Iranian economy. They note that before sanctions have even begun to be imposed, Iranians have seen their purchasing power slashed, the government is under extreme pressure and recently sacked the head of Iran’s central bank, and Iranians are making it clear the economy is much more important to them than the regime’s foreign policy ambitions. The piece also makes it clear that the Iranian regime’s hopes that European companies will make up for the US sanctions look very unlikely to eventuate. For all the details, CLICK HERE. Our final piece follows up on the speech given by US Secretary of State Mike Pompeo on July 22 in California suggesting US support for Iranian civil society in its protests against the regime, in which he said, “The level of corruption and wealth among regime leaders shows that Iran is run by something that resembles the mafia more than a government.” Russel Read of the digital news service Circa explains how the leaders of the regime have come to dominate own or control most of the Iranian economy, just as Pompeo suggested. 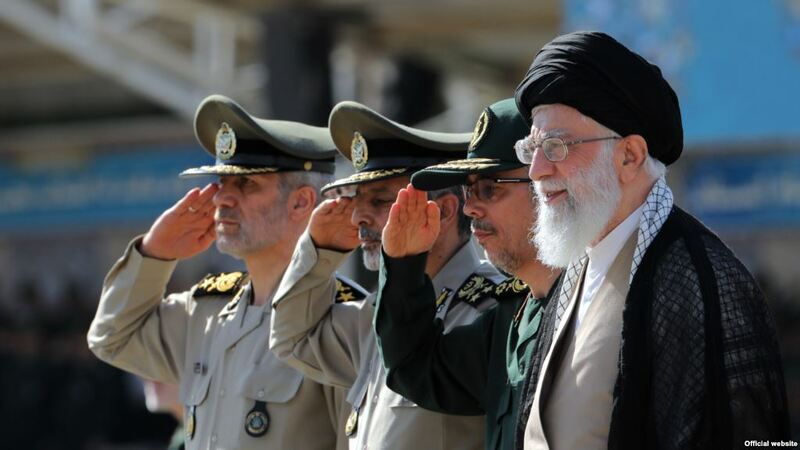 Read notes that not only have Ayatollah’s controlled much of the economy through religious trusts since 1979, but in recent years the Iranian Revolutionary Guard Corp have also managed to grab control of about one third of the economy. For all the background you need to understand how Iranian regime leaders have come to personally control so much property and wealth, and most major companies, CLICK HERE. A discussion of the psychological warfare campaign likely behind President Trump’s latest belligerent tweet directed at Iran. Israeli intelligence expert Omer Carmi discusses whether the increasing economic pressure on the Iranian regime might cause it to escalate the situation and retaliate harshly to deter US pressure, risking a violent conflict. Former US Admiral James Stavridis on Iran’s threats to close the strategically vital Strait of Hormuz and how the US might react. Discussions of new US sanctions on Iran’s Mahan Air, and potential sanctions on the Islamic Republic of Iran Broadcasting organisation. A Wall Street Journal editorial on Europe’s options and interests in the face of renewed US sanctions on Iran. In the wake of the arrest of an Iranian diplomat in Germany earlier this month for planning an alleged terror attack on Iranian dissidents in Europe, Toby Dershowitz and Benjamin Weinthal review the long history of Iranian sponsorship of terror in Europe. For those who didn’t see it in yesterday’s paper, Australian Foreign Editor Greg Sheridan argued that Australia should be backing the Trump Administration’s approach to Iran. Counter-terrorism expert Matthew Levitt on the deep corruption of Hezbollah, Iran’s oldest and most important terrorist proxy. Veteran Australian Jewish leader Isi Leibler offers his personal scorecard on the Trump presidency to date. Video of AIJAC’s Dr Tzvi Fleischer discussing Israel’s controversial new Nation State law on ABC News24 on 20 July 2018. The mullahs should fear financial warfare, not a military assault. The last time Trump theatrically threatened a regime with destruction, he quickly turned around and had warm talks with Kim Jong-un in Singapore. Since then, his Twitter account has lost some of its deterrent force. But the exchange of words has focused attention on a growing confrontation with Iran, in which the United States has the upper hand. When Trump pulled out of the Iran deal earlier this year, there were warnings that it would split the Western alliance, prompt an Iranian nuclear breakout, or leave the U.S. isolated and unable to effectively sanction Iran on its own. Instead, Iran is in the middle of an economic crisis, although the U.S. has not truly ratcheted up the pressure. In less than a year, the Iranian currency, the rial, has lost half its value. There have been broad-based demonstrations around the country. Major multinational companies — including General Electric, Siemens and A.P. Moller-Maersk — are pulling back from doing business in Iran. U.S. sanctions that were lifted as part of the Iran deal begin to snap back on August 6, and the administration has a goal of getting Iranian oil exports to zero by November. Although this isn’t realistic, and the administration will grant exceptions to some allies, Iran could lose 1 million barrels a day in exports (in May, its exports had hit a new record at 2.7 million barrels a day). The economic campaign is coupled with a strategy of backing our allies — Israel, Saudi Arabia, and the United Arab Emirates — to the hilt in their efforts to resist Iranian aggression in Syria and Yemen. This is nothing less than financial warfare against the regime, aimed at denying it hard currency to fund its foreign operations, with the ultimate goal of destabilizing the regime. The administration denies that it has a policy of regime change, but Secretary of State Mike Pompeo’s demands for a new deal are so sweeping and fundamental that Tehran couldn’t comply short of a radical reorientation toward becoming a normal state. This is all to the good. The problem is that Trump’s desire to get out of Syria entirely is at cross-purposes with pressuring Iran on all fronts, and the hope that a cynical and self-interested Russia will significantly aid us vis-à-vis Iran is surely misbegotten. 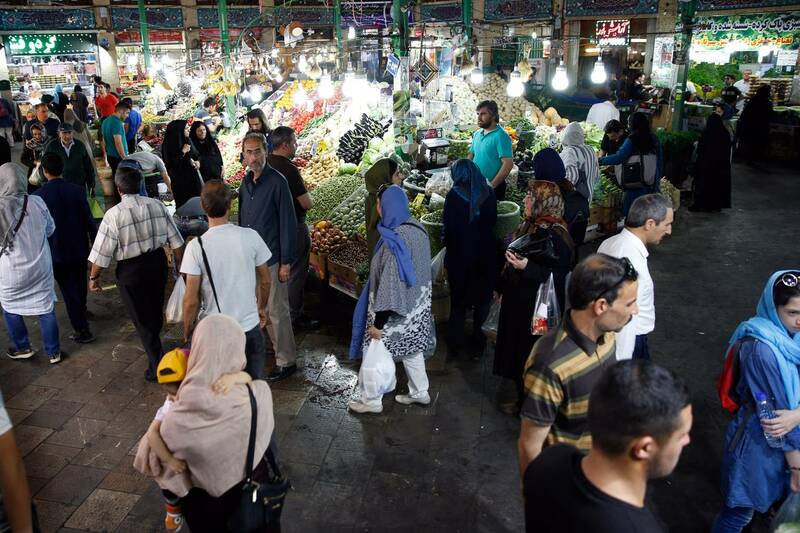 Iranian leaders are pushing to contain a deepening economic crisis that is slashing the buying power of Iranians and pressuring Tehran’s ruling elite even before the bite of looming U.S. sanctions. President Hassan Rouhani on Wednesday replaced the head of the country’s central bank, who had come under harsh criticism for failing to stem a steep drop in Iran’s currency. Ninety members of parliament signed a petition this week to impeach the economy minister, according to the semiofficial Mehr News Agency. The moves came in the wake of hundreds of protests in recent months over rising prices, corruption and environmental damage, and as the Trump administration prepares to impose sanctions that will target Iranian purchases of U.S. dollars. But the flailing economy has exacerbated a political crisis for Mr. Rouhani, a moderate who has gradually fallen into step with the country’s hard-liners in the face of mounting domestic and foreign pressure, asking Iranians to unite in defiance of the U.S.
Mr. Rouhani’s replacement of Valiollah Seif, the central bank chief, is an indication of how dire the situation is. Mr. Seif, who had a few weeks left of his five-year term, was central to the government’s drive to root out unlicensed financial institutions, many of which are run by religious and military bodies. BMI Research, a sister company of Fitch Ratings, predicts 1.8% economic growth in 2018, down from the 4.3% growth it projected before Mr. Trump withdrew the U.S. from the 2015 Obama-era deal that imposed curbs on Iran’s nuclear activity in exchange for sanctions relief. On Aug. 6, new U.S. sanctions will target Iranian purchases of U.S. dollars, among other things, and on Nov. 4, sanctions on Iranian oil and foreign financial institutions dealing with Iran’s central bank will come into effect. The sprawling bazaar in Tajrish, in northern Tehran, remains busy with shoppers browsing colorfully pickled fruits and Chinese knockoff clothing. Yet, sales are down significantly, say shopkeepers, some of whom recall the impact of earlier U.S. sanctions from 2011 to 2015. The Trump administration says it is applying as much economic pressure on Iran as possible to force changes in its military posture in the region and end its support for groups the U.S. considers terrorists. 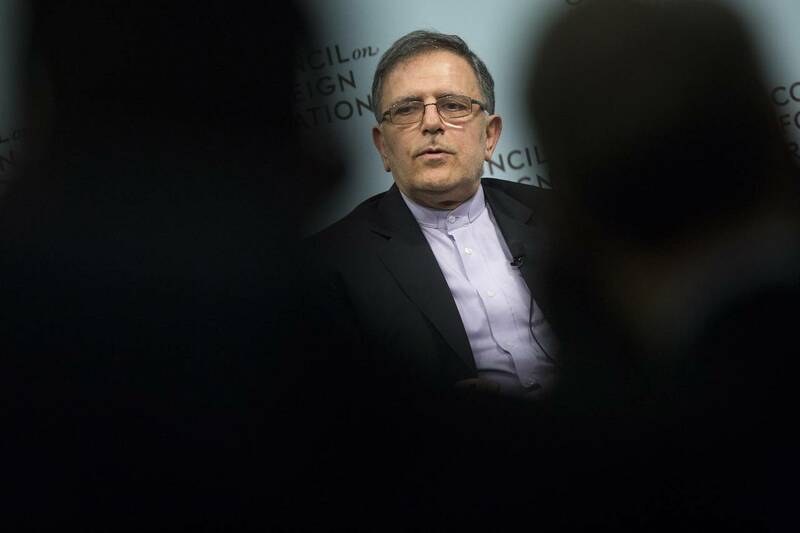 But most European commercial banks won’t open Iranian accounts to avoid their access to dollars being cut by U.S. authorities, and the U.S. has declined to give European companies exemptions from sanctions. The best opportunity for Iran now is to attract smaller and medium-sized European companies, which don’t rely on business with the U.S., said Mr. Khajehpour. “But the big question is, will Europe be able to offer the protection these companies need, especially in terms of transactions?” Mr. Khajehpour said. WASHINGTON (Circa) — Secretary of State Mike Pompeo accused Iran’s leaders of fleecing their country’s economy on Sunday, while their citizens continue to struggle with poverty. It’s a pervasive problem that has existed since the foundation of the Islamic Republic. 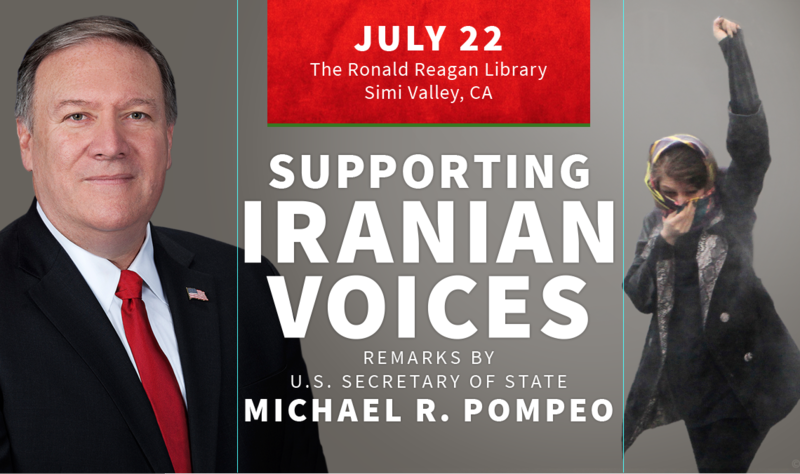 A flyer for US Secretary of State Mike Pompeo’s speech on supporting Iranian civil society last week. Pompeo specifically called out Supreme Leader Ali Khamenei for profiting off a $95 billion hedge fund. But Khamenei is just the tip of the iceberg when it comes to the extensive network of Iranian leaders who are thriving off Iranian resources. “The level of corruption and wealth among regime leaders shows that Iran is run by something that resembles the mafia more than a government,” said Pompeo, while delivering a speech at the Reagan National Library. Millions of Iranians were forced to flee their home country during the 1979 Islamic Revolution, leaving behind an untold amount of property and financial interests. The former Supreme Leader Ruhollah Khomeini created an organization known as Setad in order to manage all the assets. This, in effect, gave the Supreme Leader control over billions in Iranian real estate. Today, this holding company controls at least $52 billion in real estate as of 2008, according to a Reuters report. It also holds a controlling interest in 37 companies, with one firm worth $40 billion as of 2010, and $3.4 billion in smaller stakes. It’s charitable arm also has an interest in another 24 companies. All told, it comes to about $95 billion, but Reuters noted it is difficult to determine the organization’s exact value. Today, Khamenei uses these assets to maintain power across the country. The Islamic Revolutionary Guard Corps, the paramilitary organization loyal to Khamenei, is also major stakeholder in the Iranian economy. Khamenei authorized a major privatization of state-owned enterprises in 2005, which, on paper, mandated the sale of government assets to the private sector. In reality, the lion’s share of the assets went to organizations controlled by Islamic Republic leaders, especially the IRGC, according to Emanuele Ottolenghi and Saeed Ghasseminejad of the Foundation for Defense of Democracies. By 2010, the IRGC is believed to have seized control of one third of the Iranian economy, according to the BBC. After sanctions were lifted after the 2015 Iran nuclear agreement, state-owned enterprises are believed have received a massive portion of business agreements worth tens of billions of dollars, according to a 2017 Reuters article. Ghasseminejad and Ottolenghi estimated in 2015 that Iranian military and the IRGC foundations controlled a $17.5 billion portfolio in the Tehran stock exchange. Khamenei ordered the IRGC to divest some of its business interests in January, though Ahmad Majidyar of the Middle East Institute expressed skepticism that it would have much practical effect. A significant portion of Iran’s wealth goes toward supporting its proxies across the Middle East, according to the U.S. State Department. State’s website claims more than $16 billion has gone toward the Assad regime in Syria, the Houthis in Yemen, and groups in Iraq. Meanwhile, one third of the country’s youth remain unemployed and the country’s GDP per capita sits at just over $5,400.